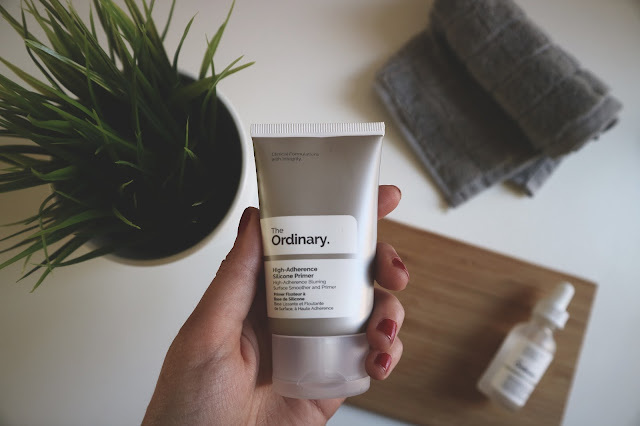 When I heard The Ordinary skincare range was stocked at House Of Fraser Belfast, I was straight down to check it out. I had been hmm-ing and ha-ing over whether to test this range out or not and what initially was the deal breaker is no longer. I can't buy skincare online, I need to see it in the flesh, try out testers, ask for advise from the sales assistance etc etc - before I even consider buying. a) HOF Belfast now have this new 'Beauty Spotlight' section, with a mixture of various brands like 'Stila' and 'Pixi'. & b) that they stocked 'The Ordinary' by 'DECIEM - The Abnormal Beauty Company'. From my chats with the sales adviser in HOF, I realised some very key things about this range. This explains the extremely affordable aspect of the brand. "The brand was created to celebrate integrity in its most humble and true form. Its offering is pioneering, not in the familiar technologies it uses, but in its honesty and integrity. The Ordinary is born to disallow commodity to be disguised as ingenuity. 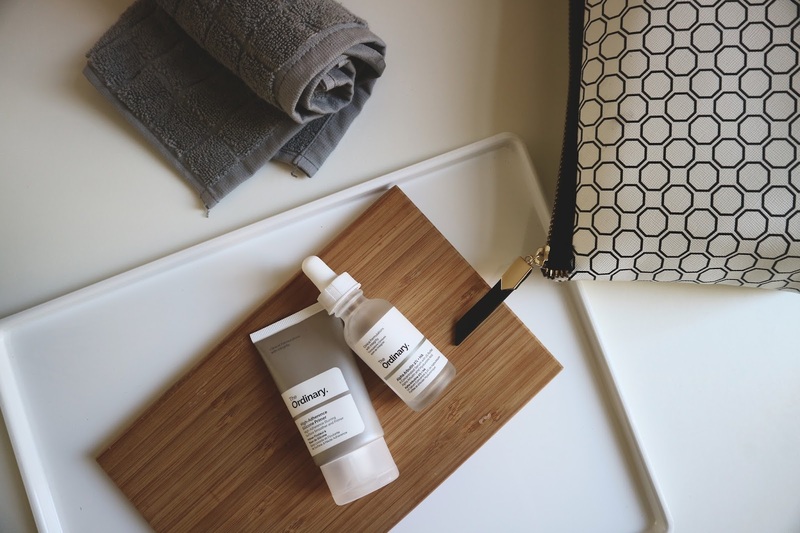 The Ordinary is "Clinical formulations with integrity". and doesn't mean a thing if you don't actually see any results right? I refrained from sharing anything on the products until I knew I could be confident in them. After three weeks of using both the serum and the primer, I can thankfully say that they do what they say they'll do and I am very much excited about this brand. "Alpha Arbutin reduces the looks of spots and hyper-pigmentation. 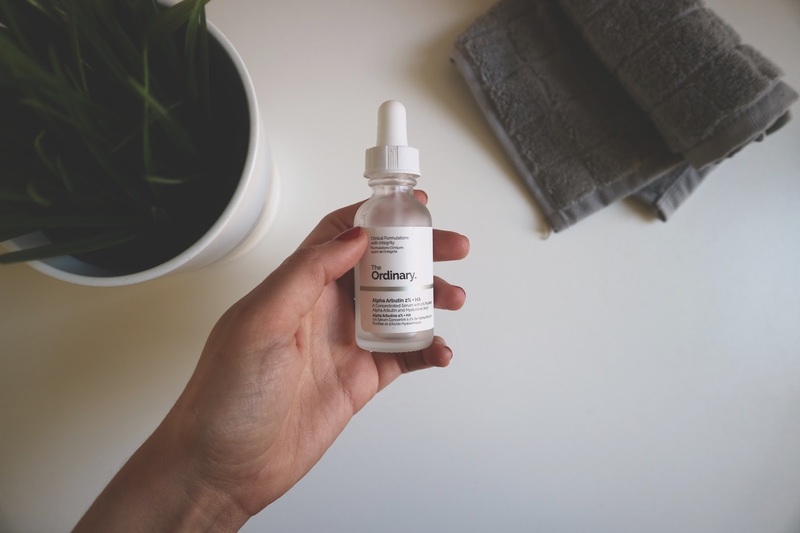 It's used at a high 2% concentration versus a standard concentration of 1% and supported with a next-generation form of Hyaluronic Acid for enhanced delivery. Alpha Arbutin is much stronger in effect than Arbutin or Beta Arbutin." I have had several doses of acne over my short 22 (nearly 23) years and am unfortunately left with scarring, and dark/reddish spots. When I say 'spots' I mean the kind that make you look like you are having a break out and yet when you touch your skin it's completely flat- it's as if someone has literally just drawn spots on my skin. Nothing is raised, it's just the aftermath of my previous breakouts. Not to mention my uneven skin tone. It means I have to wear foundation ALL THE TIME. So the question your dying to know the answer to, did this 'serum' help? The answer is a big, fat yes. I don't want to exaggerate, I still have scaring (to be expected after only 3 weeks), but they are fading at a gradual pace and my skin tone has become less 'patchy' and more 'glowy'. Overall my skin just looks healthier and I can tell it's on the mend. The serum definitely works. What does it feel like on your skin? 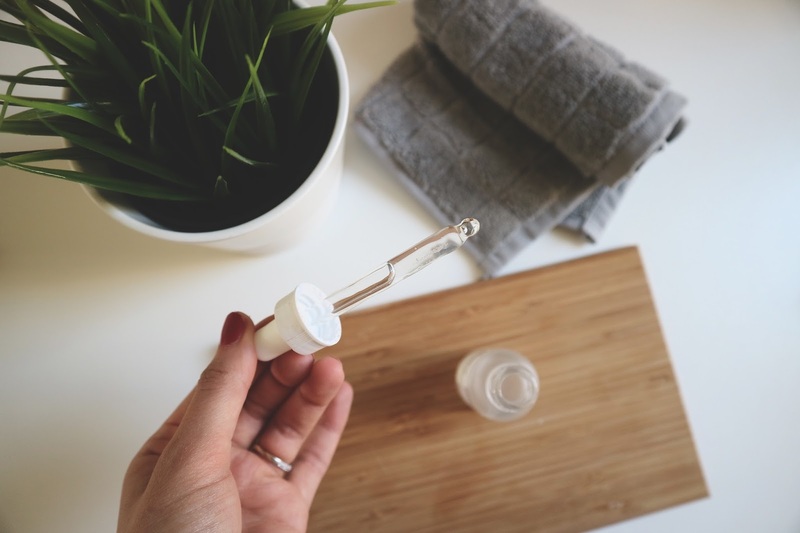 It's light, it's not oily, it absorbs quickly and definitely hydrates - it always feels refreshing and cooling. A total nourishment without the heaviness or greasiness you sometimes find with other products. One thing I've learnt though about this serum, is for my skin type (combination), I actually can't use it both day and night. I only use it at night (sometimes on it's own and sometimes mixed in with the some coconut oil for added goodness). Why? When I applied it in the morning before my primer, I kissed goodbye to any staying power my makeup once had. It just did not stay put. So girls, if you have combination skin - take note. + You can add this serum to your existing moisturiser. "This formula uses advanced adaptive silicones to act as a matte, hydrating, blurring primer for makeup that looks higher in definition and adheres for longer. The formula can also be used alone as a non-greasy hydrator that reduces the looks of pores and of imperfections. " It does exactly that. It blurs and hydrates all at once, and gives my foundation a great glowly finish without the risk of 'sliding'. 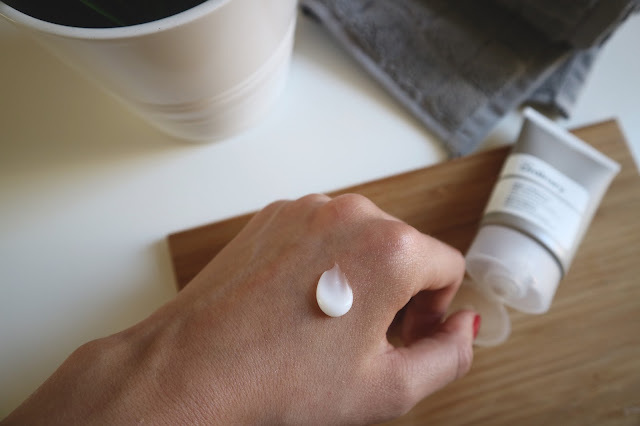 Once I had figured out that the serum was the thing that made my makeup literally fall off, I began using the primer on it's own in the mornings or after some moisturiser. Since then, my make-up just does not move one bit - amazing. Granted I have started using No.7 Stay Perfect Foundation, which already had good staying power, but this primer has made it full proof without giving me a 'cakey' and over the top look. When applied to the skin the 'smoothing' effect is apparent immediately, it glided over my dry patches and it didn't take long to settle, meaning my make-up routine isn't laborious anymore. This primer is definitely for anyone wanting a smoothing effect and staying power, I'd probably recommend their other primers if you are looking for a 'dewy' effect. Although I would also note that I found because my foundation is staying put, my highlighter has a better chance at doing it's job, and so I've still been able to achieve a 'dewy' look with this primer + a real good highlighter. I'm not exaggerating when I say that this primer gives you both staying power and a smooth/radiant look. It really has, and I can honestly recommend. So although there was huge amount of fuss over 'The Ordinary' - it's not just hype. I can testify to that. My experience at least with these two products has been 100% satisfying and I would definitely recommend chicks. For sure. Has anyone else used any products from the range? Let me know what you think - Good or bad. And if you end up trying either of these products or already have, get in touch, I'd love to know how you found them too!